Photographing The World Behind The Scenes continues today with Episode 16, our final few days in Cambodia. In this episode we visit a gun range, we fly in a hot air balloon, we ride an elephant, Patrick eats "happy" pizza, and we have dinner with our tuk tuk driver's family. We also get to see the most spectacular sunrise of our lives. When we started telling people that we were going to visit Cambodia, many of them said that we had to visit the "Cambodian gun range." We asked our driver Chom if he knew about it and he certainly did. After a very long tuk tuk drive we arrived. I can't remember how much the cost was but I do remember thinking that it was significantly more expensive than anything else we had done in Cambodia and I believe it cost more than shooting in the US as well. We turned down the options to shoot at a chicken or a cow and also decided not to shoot an RPG or throw a live grenade. It didn't feel like they had very stringent safety standards. 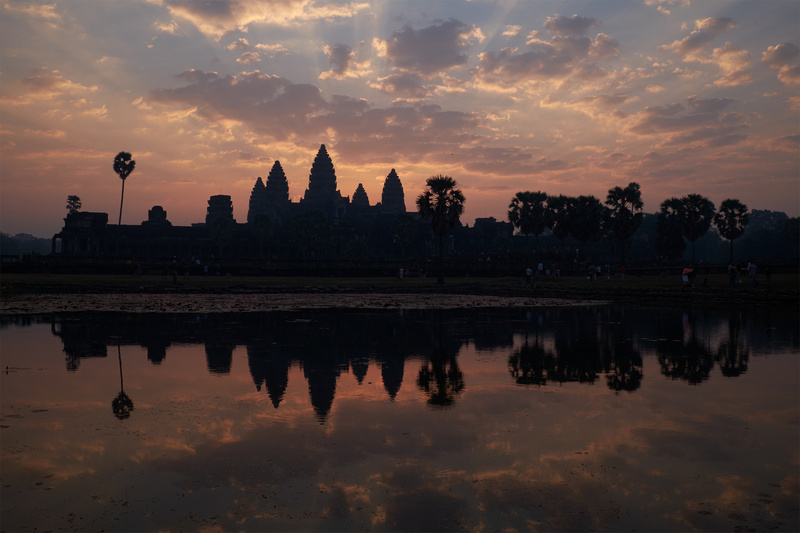 The next day we woke up at 3am to film the sunrise above the Angkor Watt temple. I thought Elia was crazy when he told us that hundreds or even thousands of people would be showing up while it was still dark to capture this shot. To my surprise, Elia was right. Thousands of people poured into the same area and surrounded an extremely small pond... we actually called it a puddle. Because we had gotten up so early we were the very first people there. Elia staked out a spot right at the waters edge. To film this lesson we filmed him with telephoto lenses from the other side of the water. Everyone around Elia could not figure out who he was talking to. In post Elia simply changed his white balance, added some vibrance, and removed the people in the background. The next day was Patrick's birthday and he decided to eat at the restaurant we kept walking by called "happy (herb) pizza." After just 2 slices Patrick became extremely chatty and oddly observant. We continued to explore the city, we rode and elephant, and we took our driver up in a hot air balloon. On our final day in Cambodia, Chom, our tuk tuk driver invited us to his home to meet his family. His wife cooked us an amazing meal. I felt so lucky to have that experience and for me it was, by far, the highlight of my trip to visit Cambodia. Subscribe to our Youtube channel to see our final 2 episodes. In next weeks episode, we return to New Zealand to photograph the night sky. To learn more about the full cityscape tutorial you can visit the info page here. 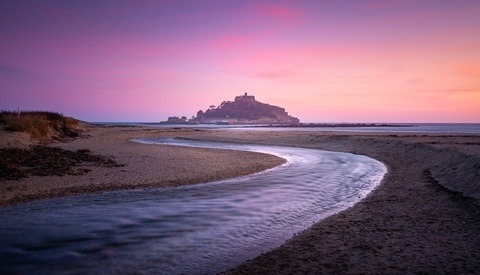 If you are more interested in standard landscapes, you can check out Elia's first photography tutorial here. They will be going to Mars in the next series. 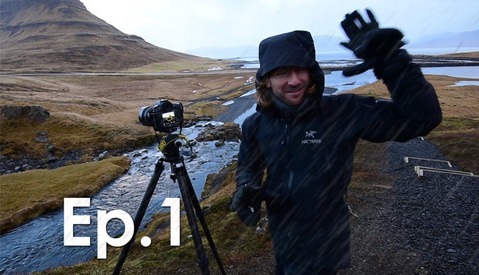 You're in luck because I have already edited the BTS for our next tutorial with Joey Wright. Joey is currently here in Charleston putting the final touches on his tutorial and it, and the BTS will be out soon. I haven't watched all the BTS for photographing the world yet...did you guys come to South America? We did not. Maybe we will in the future. Well if you do be sure to hit me up. I'm in Bolivia. I set up my tripod right in front of everyone else as Elia did but people were knocking it over constantly ruining my planned timelapse... This really sucked - a lot. Btw I hope you guys are/were aware of the tragic history of people in this country and the genocide that happened just a few decades ago. Just my two cents of why I personally didn't go to a gun range (neither in Cambodia nor in Vietnam). Did you actually also go to Laos (especially Vang Vieng) on your trip?! (Just because of the pizza and such...) If not ask Elia. He probably knows what I am talking about. Wow, looks like we really need organizations like NRA or NRA-ILA to stop savages like you. You are the reason why people need guns. I have been enjoying these BTS videos and I imagine that there's an incentive for buying the series for all the tips included. 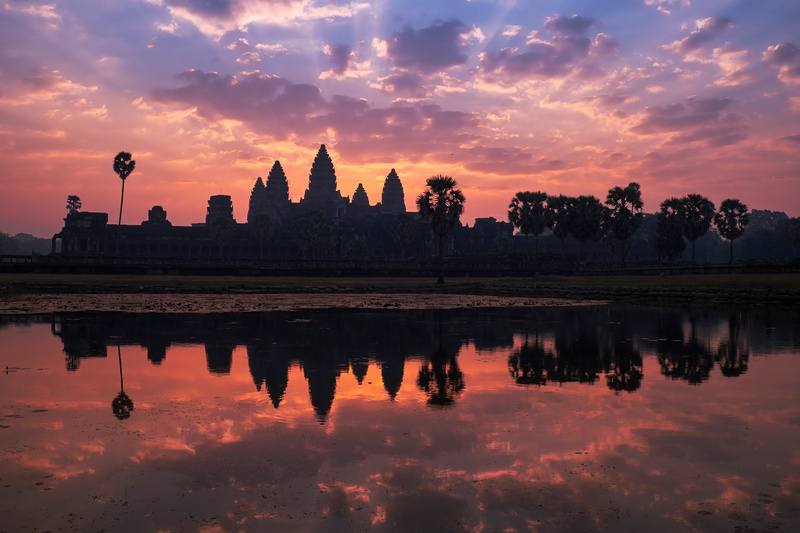 The difference in the Angkor Watt temple sunrise is amazing. Does Elia use Auto White Balance when shooting? For me, when shooting outdoors, I set my white balance to Daylight and for sunrises and sunsets, I set my exposure compensation to generally -2/3. I think he switches between auto and kelvin.